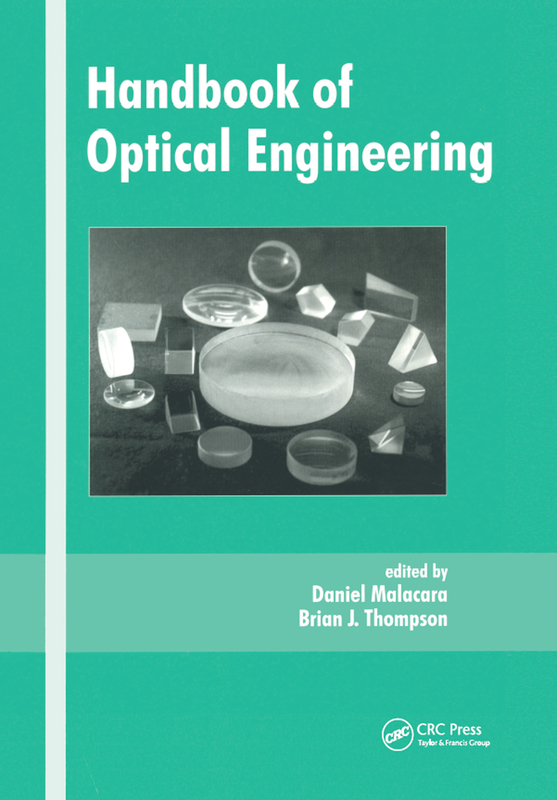 This handbook explains principles, processes, methods, and procedures of optical engineering in a concise and practical way. It emphasizes fundamental approaches and provides useful formulas and step-by-step worked-out examples to demonstrate applications and clarify calculation methods. The book covers refractive, reflective, and diffractive optical components; lens optical devices; modern fringe pattern analysis; optical metrology; Fourier optics and optical image processing; electro-optical and acousto-optical devices; spatial and spectral filters; optical fibers and accessories; optical fabrication; and more. It includes over 2,000 tables, flow charts, graphs, schematics, drawings, photographs, and mathematical expressions. ". . .comprehensive. . .. . . .well written, logically organized." Basic ray optics; basic wave optics; basic photon optics; refractive optical components; reflective optical components; diffractive optical components; some lens optical devices; telescopes; spectrometers; wavefront slope measurements in optical testing; basic interferometers; modern fringe pattern analysis in interferometry; optical metrology: point methods; optical metrology of diffuse objects: full-field methods; holography; Fourier optics and optical image processing; electro-optical and acousto-optical devices; radiometry, incoherent light sources; lasers; spatial and spectral filters; optical fibers and accessories; isotropic amorphous optical materials; anisotropic materials; light-sensitive material; optical fabrication.